The most epic thing I have ever learned is how similar people are. Across time and space, we’re the same. We haven’t changed after centuries of civilizational development, revolutions and scientific movements; we don’t change according to birthplace or method of upbringing. I’m convinced that our biggest problems are the eternal ones, like happiness, loneliness, power and all of the other one-word bombs our society can’t seem to diffuse. Everything springs from those. Our toys may get shinier, but the human condition does not. The reason I majored in international relations is that I see this play out on the global stage. Every foreign affair can be stripped down to something remarkably human. There are big players in the European Union that break the rules they enforce on others; this starts on the school playground. North and South Korea vie for a status with financial benefits; this happens in our families. Our cultures and languages, too, are just clothes for the same concerns. A “pie in the sky” in English is the “picture of a rice cake” in Korean. (Isn’t that awesome? I learned that last week.) Parallels abound. There’s a map in my head of everything I’ve ever learned, and everything on it leads right back to a common human nature. In a way, the Stanford institution supports this, because our unity is emphasized through our great diversity. Behind each community center, ethnic theme house and extracurricular is a purported celebration of difference, also printed in every promotional booklet admitted students receive. Many of us hear more a cappella, eat more South American grains and are exposed to more kinds of sexual self-identification here on this campus than we ever did before we came. As a result, though, the loudest proclamation we make to the world is that our student body has, at least superficially, digested the divides of ethnicity, socioeconomic status, ideology, religion and appearance. Hence, our sensitivity to political correctness; we expect ourselves to embody a universal embrace, as if the idea were attached to our Stanford degree. And here my doubt lingers. For as we tout big victories of acceptance and toleration, what do we do every day, privately? We speculate about friends behind their backs. We laugh at each others’ expense. Rant angrily about others’ achievements. Give people cold attitudes. Avoid our ex. Want revenge. We think things like “How could she say that! ?” or “What a jerk!” or “I could never be like that.” These statements don’t start world wars or mass murders, and they aren’t published in our journals or academic papers. But they are undoubtedly our cruelties of choice, misleadingly casual for how bitter they can become. They are irrelevant to the humanitarianism we herald…right? In my Italian film class last week, we watched a biographical drama about a highly controversial political figure. Millicent Marcus, an Italian film theorist, described the film character as possessing the “attitude of detachment which licenses the most virulent actions at the level of history.” This is exactly the detachment, however, that us supposedly good people show through actions against our own peers. Our own gossipy statements and jabs of superiority suggest irrevocable difference. They are predictions that we could never, in our entire lives, empathize with the subject of our criticism. Yet this emotional distance, at its very root, is the same as every -ism we decry in the world. The best example I can give is my own. I used to very outspokenly judge all Christian people as judgmental hypocrites. (Paradox.) Then, when I came to faith during sophomore year, I suddenly understood that the fact was obvious. I am hypocritical now, as I was hypocritical then. Being human, I’m actually implicated in every crime I denounce in everyone else. I condemn inconsiderate mercilessness in history and political science, and get caught up in it right after class. With this in mind, I wish to rescind a column I wrote last October called “The Value of Division.” I wrote it to justify my disregard for someone based on differences, and also my condescension. I now recognize this attitude as the same one driving most worldwide conflicts. For someone who believes in the power of small gestures and little things, surely I should be recognizing that my attitude toward people in my own life may be yoked with the rest of the world’s. To accept that someone else has a heart is to accept that they want the same basic things and struggle with the same questions as you do. It’s to accept that they were, in fact, created as equally as beautifully as you. It’s an ideal we announce quite loudly on banners and broadcasts, but means something real only if we pursue it in our social lives now. Idealism, buzz words and institutions for world peace aside, let’s be real. I believe in hope for us — an eternal kind. But I believe it’s a personal thing, above all. Hey readers, Nina thanks you. 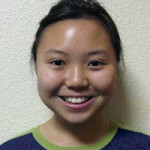 And if you haven’t yet, you can find her at ninamc “at” stanford “dot” edu for a little while longer.